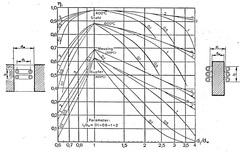 The basic precondition for all inductive heating procedures is, that a metallic work piece with specified dimensions should be heated up in the time t to a predetermined temperature T.
The specific heat c is a matter constant, and its value is added to a number of work materials. If the heat quantity applied is determined according to the equation as shown above, care must be taken that the specific heat quantity c is not inserted as a constant in case of large differences of temperature. Furthermore, the latent heat of transformation to be furnished must also be taken into account from case to case. Power losses due to heat radiation and heat conduction are also neglected. 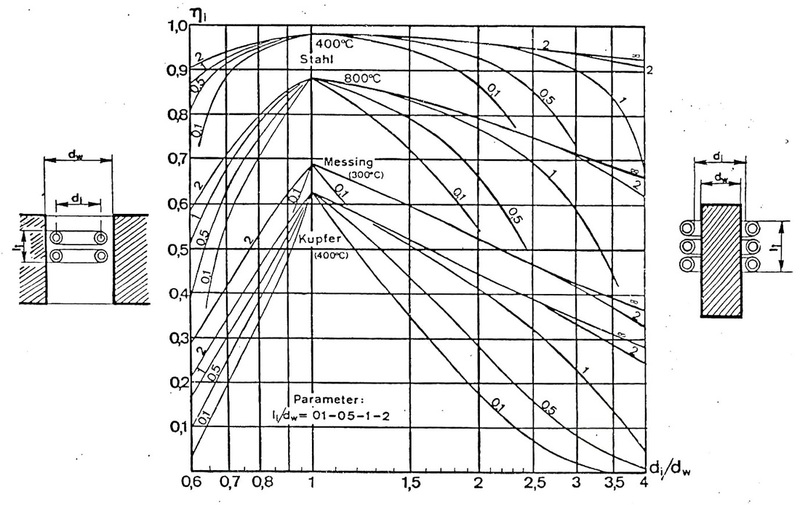 The efficiency of the inductor has a great influence on the required generator power. It may be considerably above the power required in the work piece. Its value may be approximately determined from the table shown below. The required minimum working frequency is also important. It depends on the current penetration depth and on the material used. It will also be calculated below. If a work piece should be heated up in a continuous procedure, such as for instance a cable, then we must know its feed rate. Feed rate of cable: 15 m/min.